75% Support, this looks pretty good for decoration however not a lot of people would need this but i like it anyway. However hard to implement. This would be too complicated to implement something unnecessary. 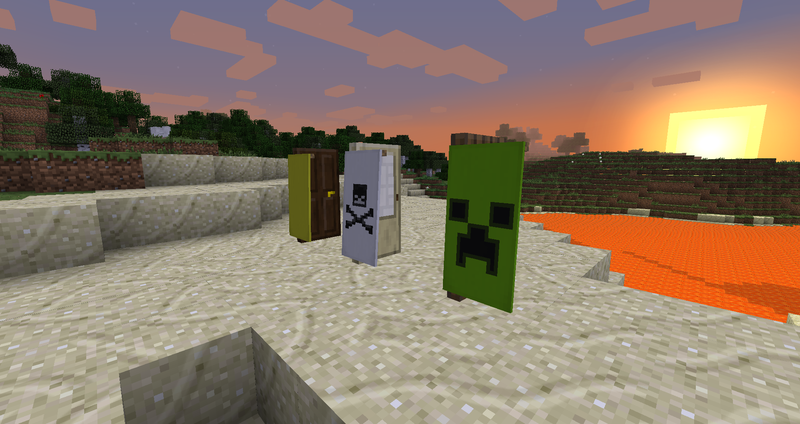 wouldent it just require like a door reskin activated by when you put the banner on? That would make it flat. Also you'd need to supply like a thousand textures for each door and side for each banner, unless you have a mechanism to do that automatically. Like I said, it would be complicated to implement. And such work isn't worth it for something so small like this. Ya I guess your right. you would have to be quite committed to do this. 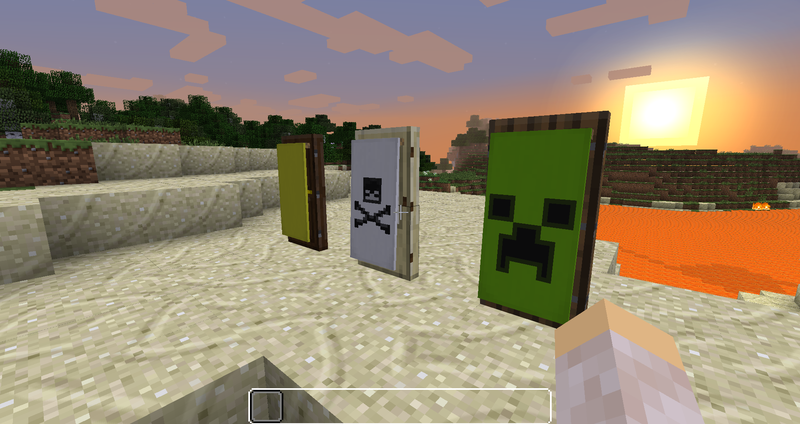 Would there be an easy way to make banners move with doors? but this is not a good idea, doors would not be as secure. doors will also lag more.